Chess is a popular board game based on strategy. It requires the players to be patient, strategic, and attentive all the time. I learned to play chess by my dad as he was good at it. Number of studies have been made to understand the dynamics of the game. A study by NYTimes suggests that chess helps in developing both sides of the human brain. Also, you can develop problem-solving skills by playing chess. So, you can have a good brain exercise if you play chess regularly. 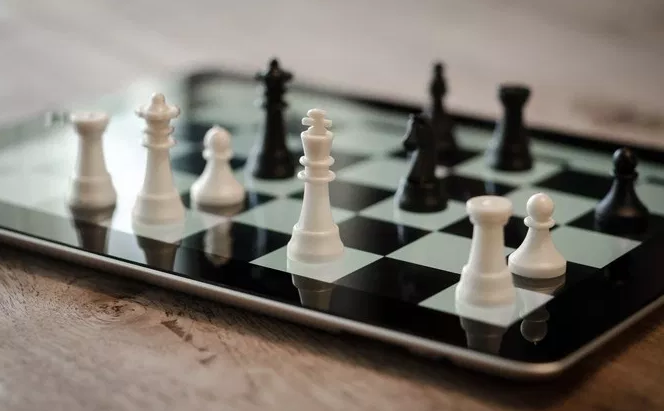 Chess app by Chess.com provides a platform to not only play chess, but also develop new skills. You can easily download the app from the Play Store and register. App will ask you to select your skill level and will also interact with you. The app provides number of tricks and tactics at each level by both video and practical. You can play with your friends, random players, and also with the computer. The app also has a section for the latest news about the world of chess. The app comes up with separate lessons for each chess piece like the rook, the knight, the pawn, and the queen. Also, it has fundamental lessons for different situations in the game. You can play online with your friends as well as offline. The app includes daily challenges, which will earn you points. The developer of Chess Tactics, Chess King, has a dozen of apps for chess. It is surprising why they didn’t combine all those features in a single app. Still, Chess Tactic is a great app. The app focuses on allowing you to learn different strategies at one time. All the tasks are time-based, and you need to make all your moves yourself during the game. If you make any wrong move, you will get a hint for that. Some chess apps provides hint even if you don’t want any. The app provides good exercises along with its sister apps like Viswanathan Anand, Gary Kasparov, and Bobby Fischer.